At last week's FinishItFriday I said I'd share a few bonus projects that were completed last year. 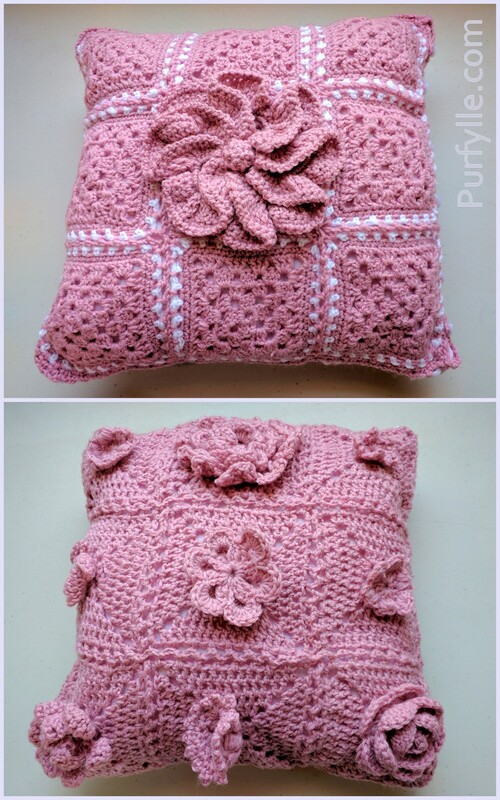 These crochet motif cushions are top of the bonus list, bringing the total finished project count up to 14 from 12. Can I really not count, I hear you ask. How I got from 12 to 14 by completing one project is explained below. Back in 2014 (yes that long ago) I made a pile of little crochet motifs, which really helped to improve my crochet skills, I would recommend doing this to anyone who wants to get better at crochet. 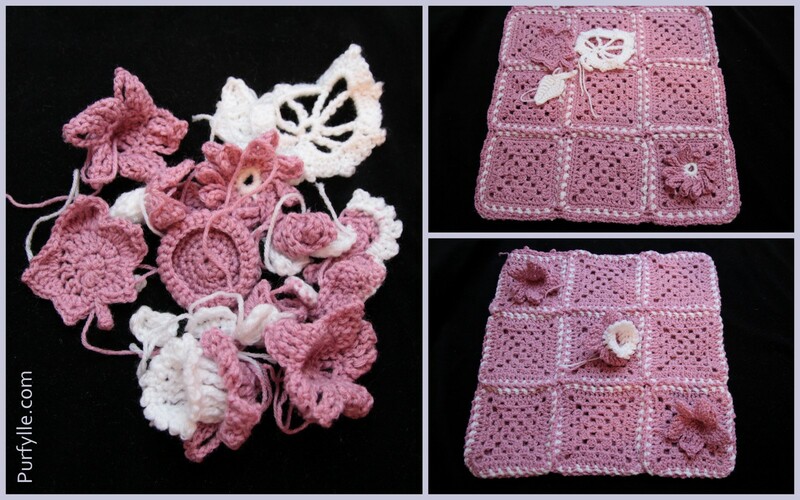 Later that year I tried my hand at various granny squares and my very first crochet tutorial. 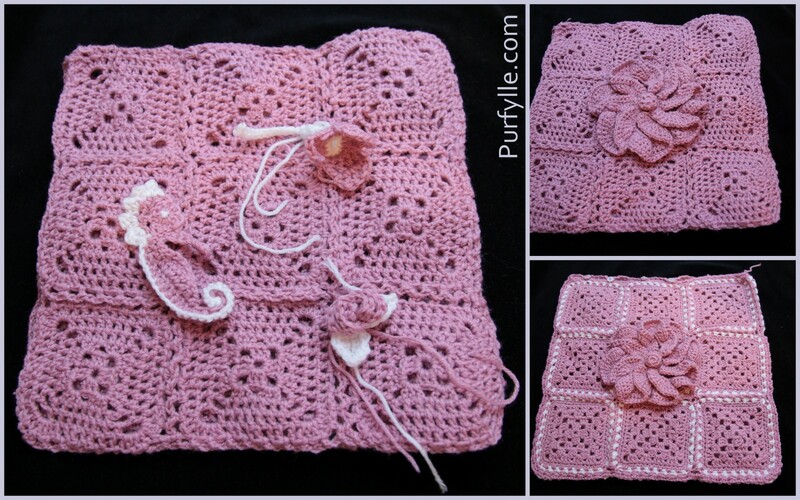 A month later, which happened to also be the next year, I added an edging to the granny squares. Shortly after I had them joined with the idea of making them into throw cushions. I was was undecided just which motifs should go where. 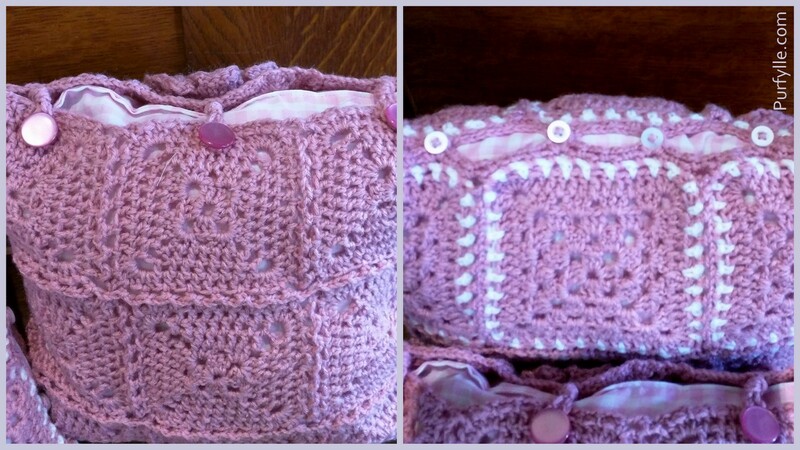 A few months later I stitched the motifs on and added button closures using buttons from I had on hand. 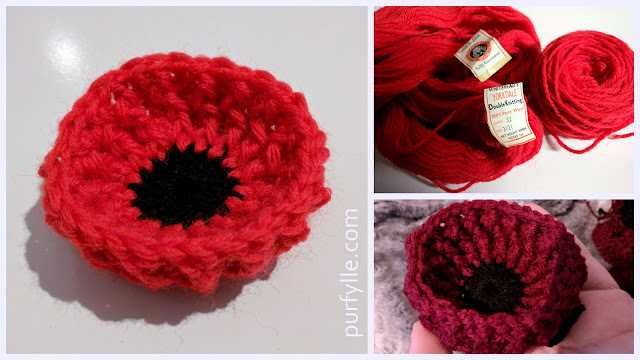 I even took photos and uploaded them to the blog and started a draft post. But that was as far as I got. The last little step was all that was needed to complete them. Making cushion inserts. Then late last year, a friend gifted me with some cushion stuffing. I had found some pink gingham in my fabric stash. I took it all along to a sewing day and finished it off. I had long ago decided I didn't really like the cushions. I liked the concept but the colour and style weren't really me despite the fact I really enjoyed making them. Then this magical little moment happened. One of the ladies at the sewing group loved them! She said how well they would fit into her decor and right then and there I gifted them to her. It made me so happy to have my work go to someone who appreciated it. 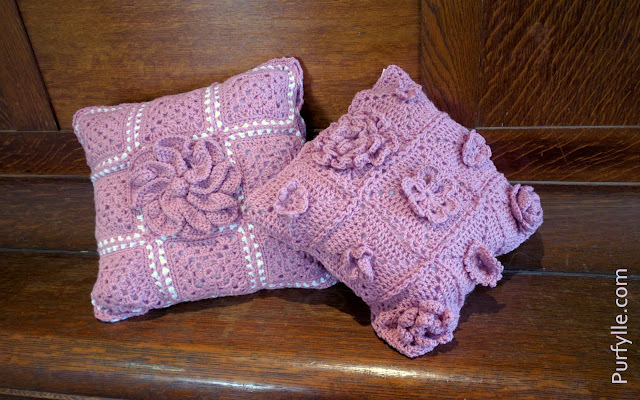 The following week I also gave her the few matching motifs that didn't get used on the cushions. But wait, I still haven't explained how the finished project count got to 14. I also get to delete that draft post I started back in February last year and I'm totally counting it. How did you go last week? 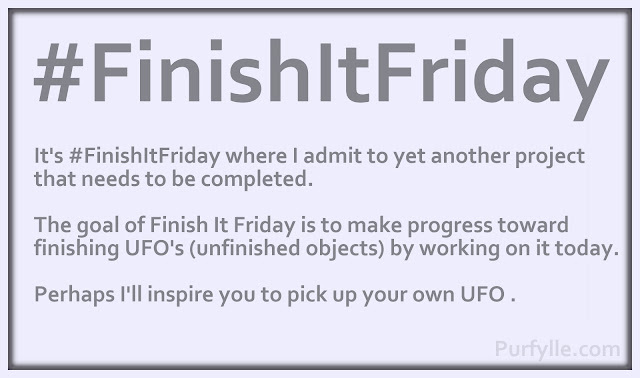 Have you made progress on an unfinished project since Friday? Tell me in the comments. 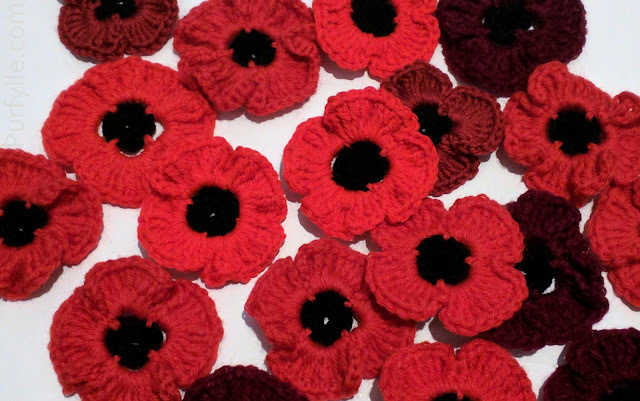 From a crocheter's standpoint, I can say that they're lovely work... But like you, it's just not in my taste to have pink frilly things around the house. It's great that you could gift them to someone who loves them! I'm curious as to what she'll do with the extra motifs. The draft post only counts because it's been in draft for a year, so I'd call it a UFO (along with the other 100+ draft posts that are UFO's - I've got to sort that out). I will ask her if she has done anything with those extra motifs when I see her next. If I were to guess I would have thought you would prefer them in blue or garden colours. Yes, that works great. I think pointing at your G+ URL works too if you have some stuff from your new blog up. I love your new site BTW. So excellent, Stella! But what color are they? The top pic, they look lavender. Then in the middle, they look more pale rosy/mauve. In the bottom pic, they look pink. They are gorgeous, whatever hue!! I love the 3D motifs, roses/flowers!! ANd the white edging sets it off perfectly! How cool that you got to gift them to someone who loved them! Look at you noticing details ;o) They do look different in different lighting and I would call them a dusky pink or a mushroom pink. On my monitor the colour differences aren't as great as your description but perhaps if I turned up the blue hues a little they would.